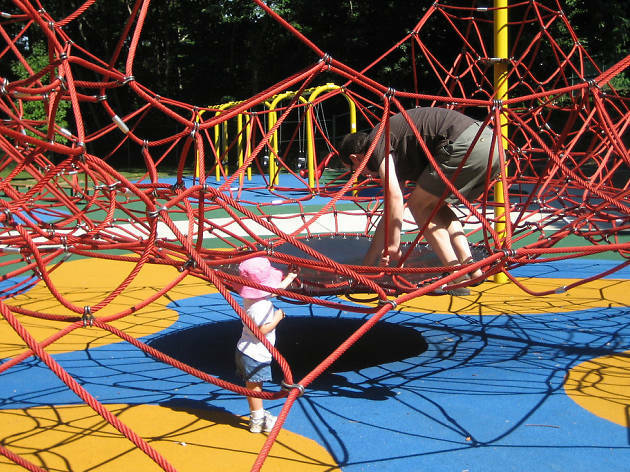 Set in East Fairmount Park, Smith Playground has been a wonderland for kids since the late 1800s. The playhouse, which is open year-round, is a 16,000-square foot, three story structure full of building toys, imaginary play areas and various craft projects designed for children five and under. 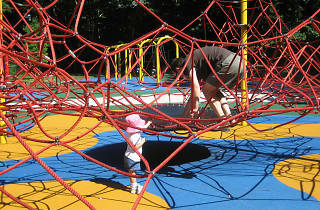 The playground, which features a large Tot Lot for the younger set, is open from April 1st through December 30th. The real star of the show is the Ann Newman Giant Wooden Slide, which is polished to a slippery sheen every other week in-season. Grab a burlap sack off the pile and slide down the 39-foot long and 13-foot wide slope. Kids and adults alike will giggle in delight.